Disclaimer: While this how to shows many points of the installation process, some parts may be omitted either accidentally or intentionally. 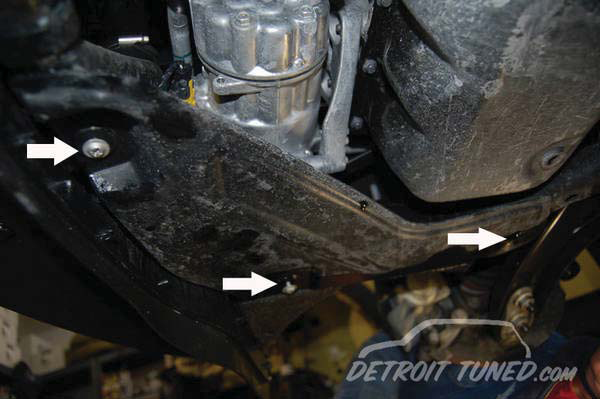 We (Detroit Tuned) are not to be held responsible for any problems that occur as a result of this. Please read through the how-to before attempting anything. 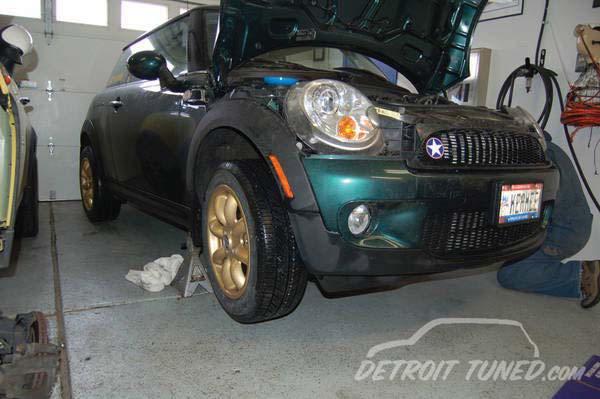 A vast knowledge of the MINI’s assembly and function is required to do this install. A Bentley manual for the R50/R53 manual may be helpful during this install, even though it does not specifically cover this generation of MINI. General knowledge of bolts and torque of said bolts is needed, as there are no published torque values to the date of this how-to. This was the first time we attempted this on an R56, and everything fit well without any modifications. If you do not feel that you have the ability to complete the steps involved, please find a licensed mechanic to do the work for you. Step 1: Disconnect the battery by removing the negative terminal, secure to prevent re-connection. 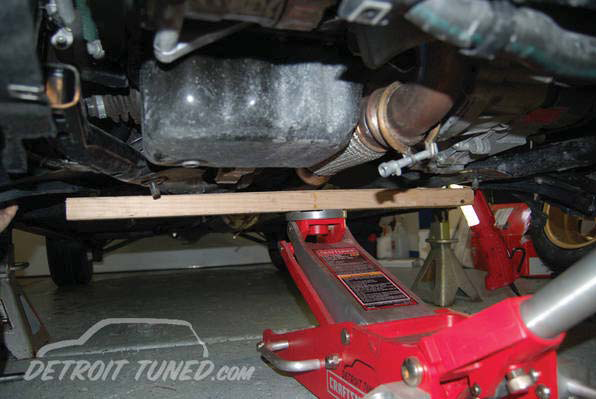 Once that is complete, jack the front of the car up, secure with jack stands and make sure it is safe to get underneath. Use appropriate safety measures like work gloves, safety goggles and protective clothing as needed. Step 2: Remove wheels and set aside. Open the bonnet to remove the grill. The grill is held on by push clips at the top. The bottom of the grill is held in with quick release tabs that you will be able to see once the top is released. Step 3: Once grill is removed, remove the front bumper. 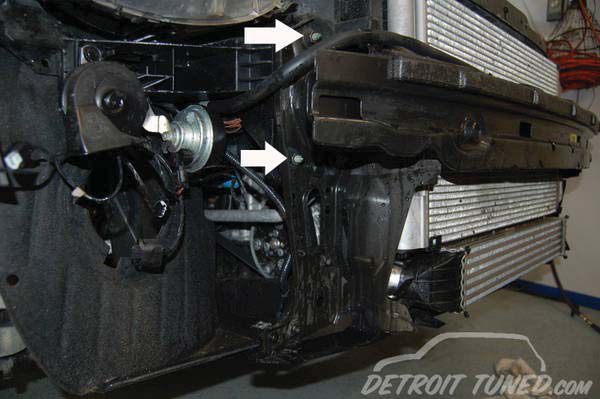 First, remove both wheel housings from the vehicle. These are held on with several spider clips and Phillips head screws. Remove them, and the housing should remove easily. Both sides must be removed. 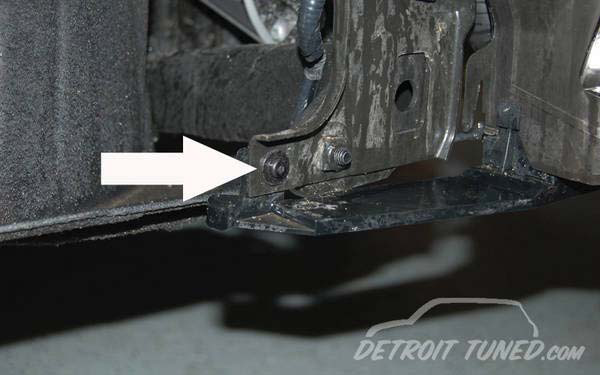 While you are under the car, remove the small skid plate on the bottom of the passenger side. This is held on with a few quick fasteners. Step 4: Once wheel housings are removed, remove 4 push clips in bottom of bumper and 2 Torx screws. 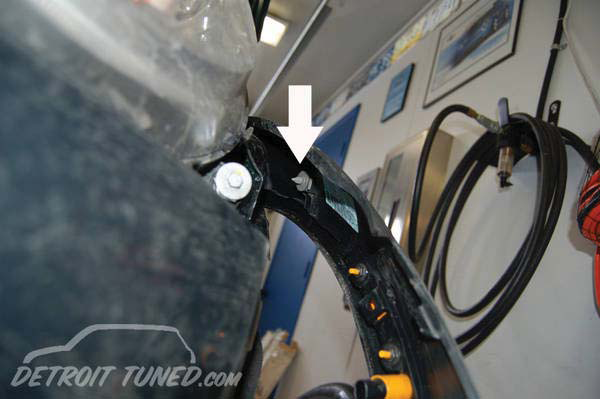 In the wheel-housing opening, remove push clips just below marker light. Remove the 2 Torx screws that were behind grill. Step 5: You now need to unclip wheel well molding from front bumper and peel it back just enough to facilitate the removal of the bumper. You will be able to see the gray clips that go around the wheel well housing. Using a pair of needle nose pliers squeeze and release. This will allow the molding to be removed. You only need to do the first 2 clips. Unplug wiring harnesses as needed. Step 6: The Bumper Cover will now slide off of vehicle easily. If there is any resistance, STOP, something must have been missed. Remove whatever is holding the bumper to the car then remove bumper. 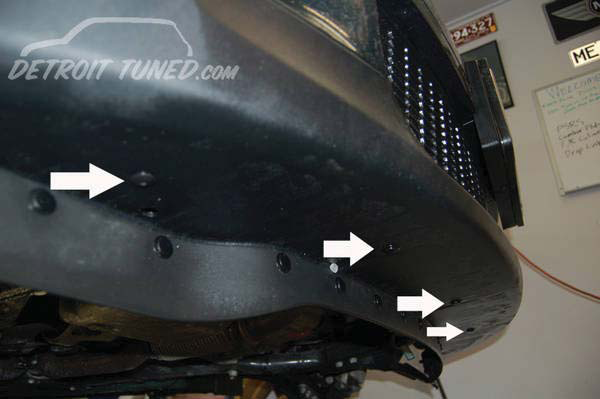 Step 7: Underneath the bumper is the bumper support. This will come off as an assembly, there is no need to undo the screws at the bottom. Look under the car and remove the 4 16mm bolts that hold the crush tubes to the sub frame. The Styrofoam top panel is just sitting on top of the bumper, take note of its location and remove. Step 8: If your car has headlight washers, take note of routing of washer jet lines. 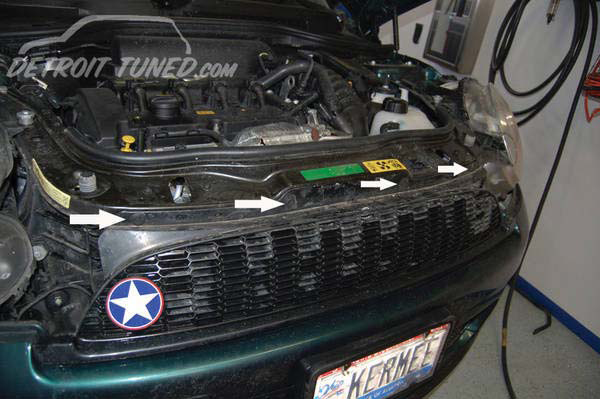 They run on top of the bumper and take note of the location of the clips that hold them in place. Using a digital camera to take pictures of these locations can be a big help when it comes to reassembly. Unclip as needed and let them hang. You do not need to fully remove them. 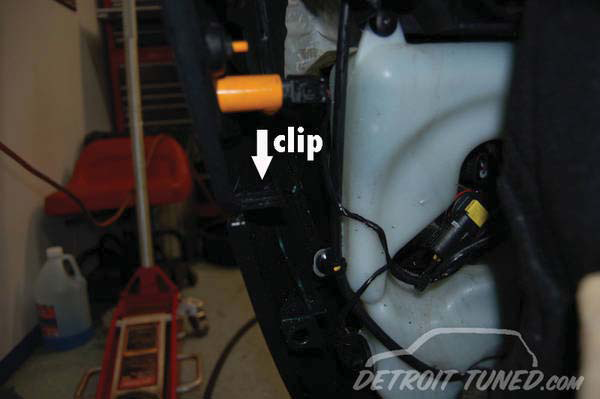 Step 9: Look at the back of the bumper support for any wiring harness that is still clipped to it. Remove as needed. There is a connection at the passenger side crush tube. Step 10: Remove the 6 13mm washer nuts from gray studs on the upper portion of the bumper support. Remove the 2 small M10 Torx nuts at the bottom of each assembly. Once this step has been completed, the whole bumper assembly and crush tubes should come off easily. Remove and set aside. 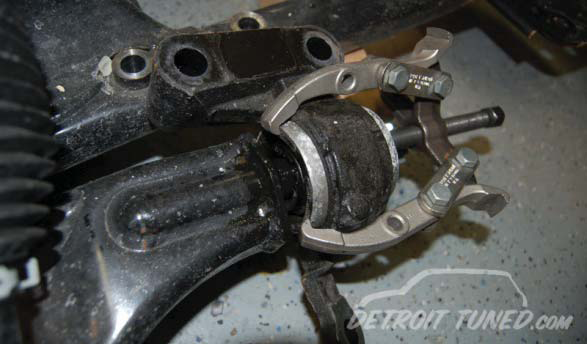 Step 11: Next, remove the 4 nuts that hold the outer ball joints on. There will be 2 on each side. 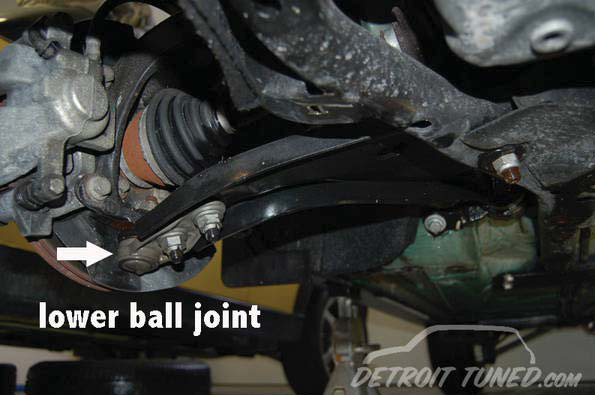 Swing the lower ball joints out of the way. 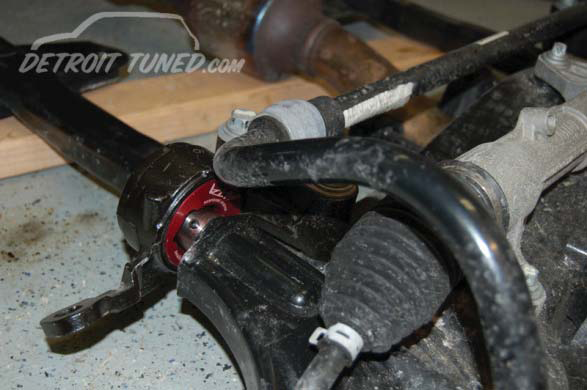 Remove the end links from the sway bar while you have easy access to them. Remove both sides. Step 12: On the driver’s side (for cars with DSC and auto-leveling headlights) you will need to disconnect the auto-leveling feature. 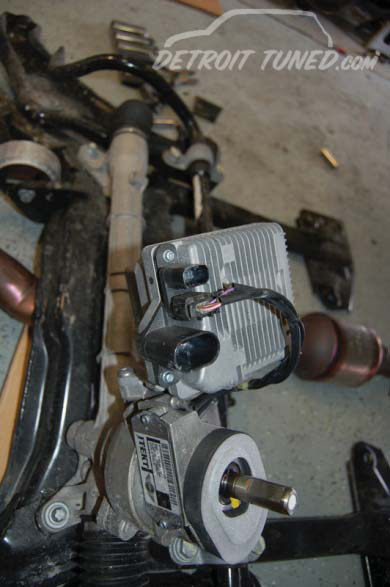 Remove the entire unit by taking off the M10 bolt that holds the unit onto the sub frame. Use a screwdriver to pop the head off of the ball pivot. Keep track of the orientation. 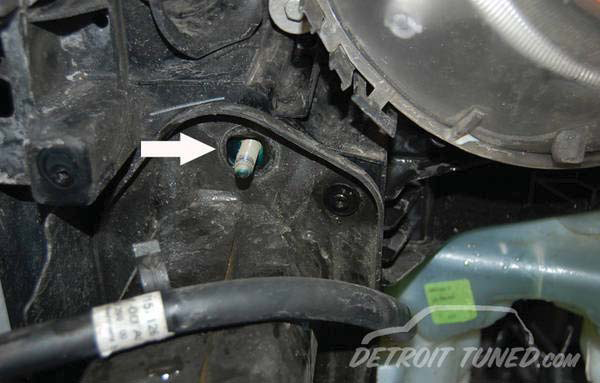 Also remove the wire that is clipped to the vertical section of the subframe. Step 13: It’s now time to move under the car. 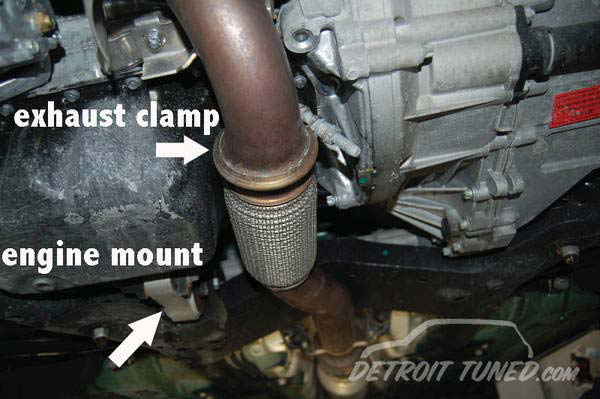 Remove the band clamp from the down pipe to the intermediate pipe. It is next to the oil pan. This clamp will be very tough and sometimes requires multiple screwdrivers and extra hands. Be careful not to damage it or the gasket; this could lead to problems down the road. Step 14: Remove the V band clamp located just past the end of the sub frame. Take note that when we drop the sub frame, this section of pipe will also be removed. We discovered that this is much easier than trying to remove the pipe as well. Step 15: Support the sub frame with a jack. A 3 foot section of 2x4 will be needed to span the distance between the sub frame rails. This will allow the jack to distribute the weight evenly and prevent crushing the exhaust system. Step 16: Once jack is in place, we need to undo a few more connections before dropping the sub frame. 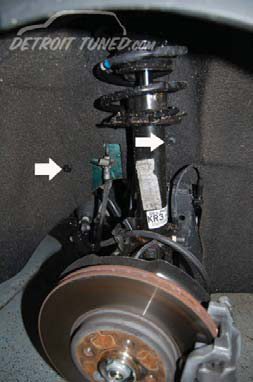 Start by removing the rack and pinion where it connects to the steering column. Open the driver’s side door, and look up above the gas pedal. Make sure your steering wheel is centered. 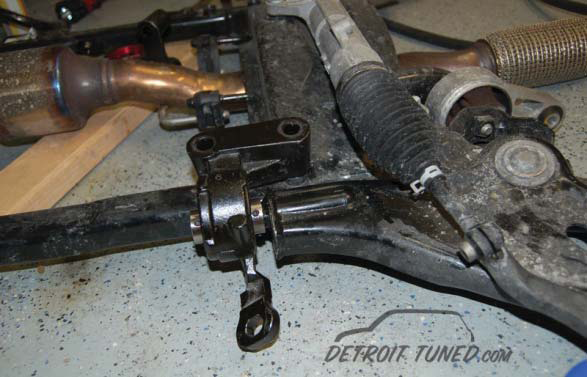 Remove bolt that holds the universal joint to the rack and pinion. 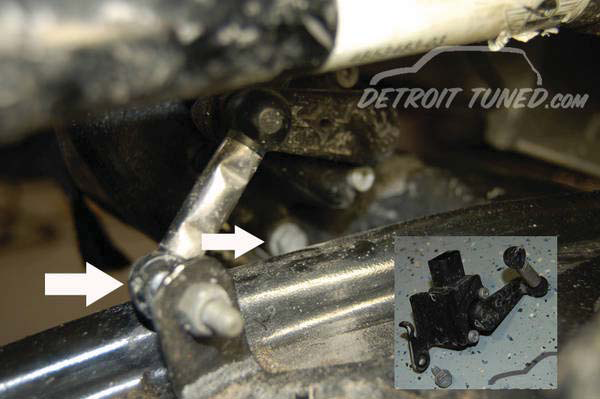 Once bolt is removed, the universal joint will swing out of the way. 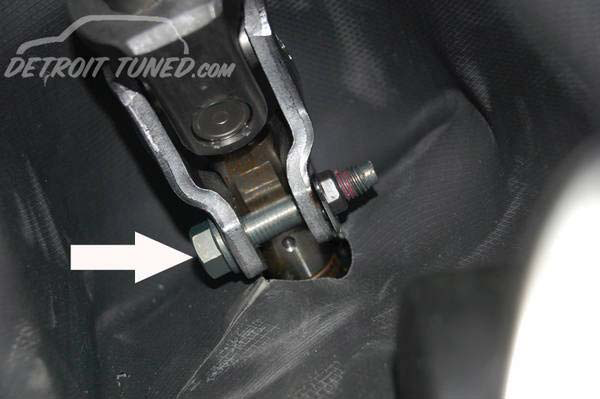 Leave bolt in driver’s foot well. Step 17: Looking between the intake and the firewall from the engine bay, you will see a silver box containing the power steering unit. 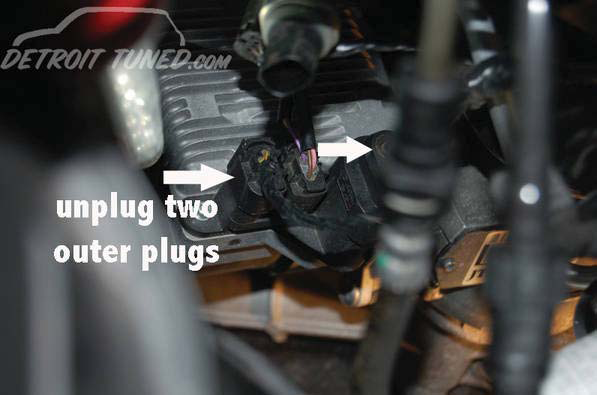 (see photos) Disconnect the large plug and the small plug at the opposite ends of the power steering unit. The center plug will remain plugged in. Note: If you didn’t disconnect the battery, the center plug is HOT and can cause sparks!! Step 18: Disconnect lower engine mount from the engine side and to allow mount to be lowered with the sub frame. Step 20: Remove the 6 bolts from the rear of the sub frame, then the 2 bolts that attach the control arm bushings to the body of the car. Next, remove the 2 vertical sub frame bolts. Step 21: Being to slowly lower the sub frame while watching for any hang ups. Make sure there are no wires are being pulled, the exhaust is not hanging up and all connections have been severed. A good practice is to lower an inch at a time, inspecting before proceeding with the next inch. 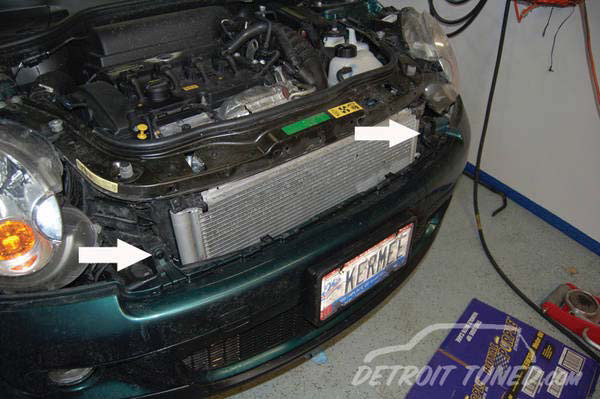 Once the sub frame is below the bottom of the radiator, you can start to pull it out. Pull it out enough to give yourself a suitable work area. 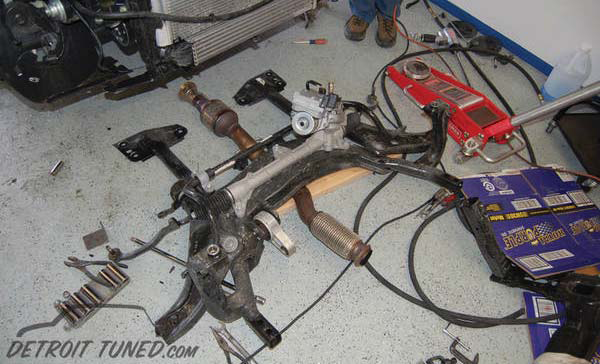 Step 22: Now, the sub frame is out, you will need to remove the control arm bushings. 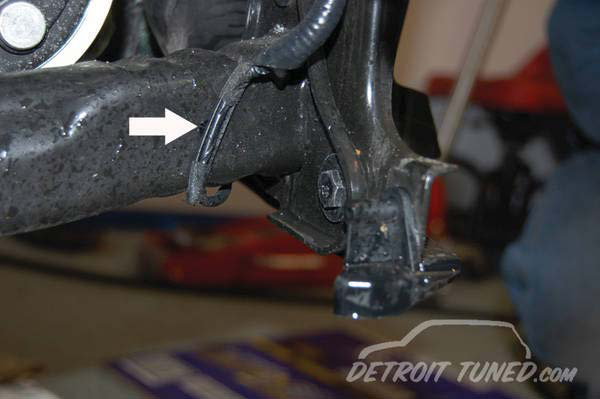 The 2 bolts that hold the sway bar on will need to be removed to loosen the control arm bushings from its mounting point. We opted to not remove the entire control arm, as the inner ball joint was difficult to remove and we wanted to prevent damage to the ball joint. We found that using a 3 pronged pulley puller worked well to remove the bushing from the end of the control arm. 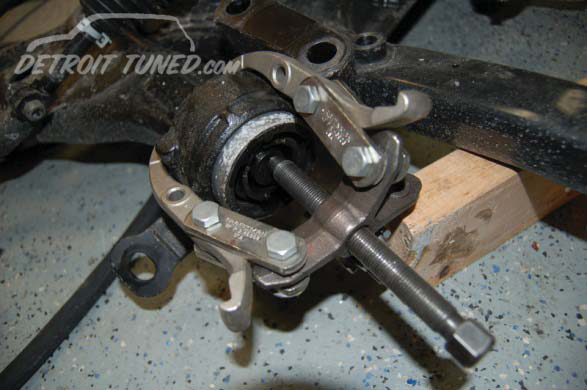 (see photos for tool) While we did this on a low mileage R56, this method also works well when a bit of WD-40 or PB Blaster is applied to help ease the bushing off of the control arm. While we are sure this method is not factory approved, it works quite nicely and saves a lot of work. Step 23: Now that the bushing is off of the control arm, you will need to press the rubber urethane center section out of its bracket. This will require the use of a hydraulic press. 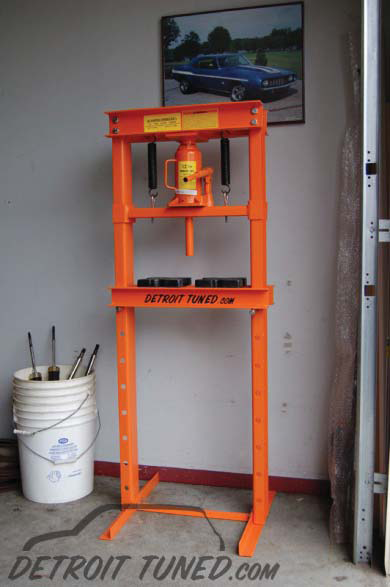 We recommend a 12-20 ton press. If you do not have a press, a good auto parts store with machining capabilities will have a press and should be able to do this for you. 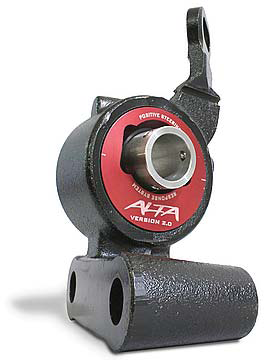 The help of the ALTA directions will show you exactly how the PSRS needs to be put in. We recommend option 2. You can also buy these pre-pressed from Detroit Tuned with our exchange program. 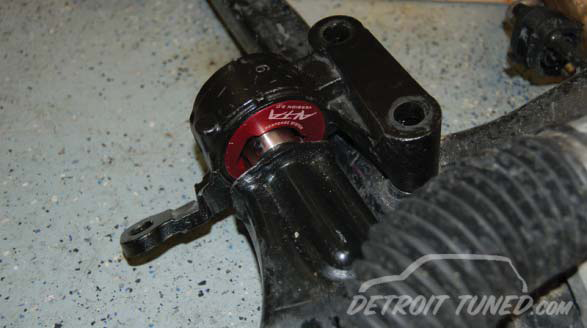 Step 24: Continue following ALTA’s directions as to install the PSRS onto the control arm. Remember to use Loctite as needed and torque to the given specifications. 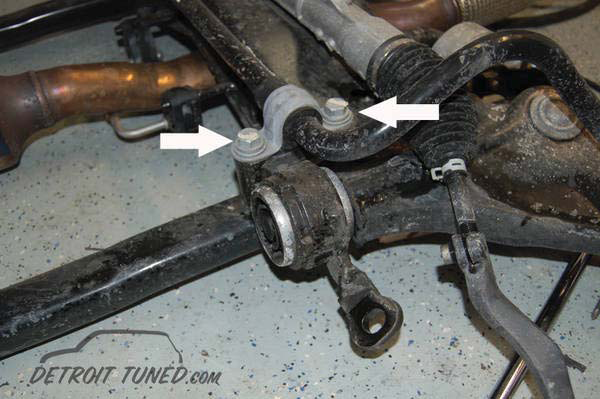 Your control arms should now look like the picture when installed back on the sub frame. 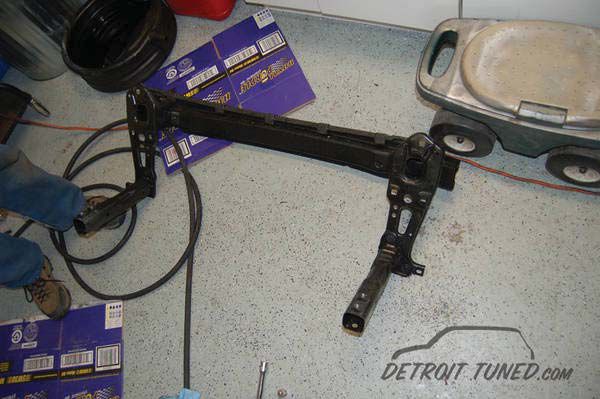 Step 25: Insert the bolts to reattach bracket to sub frame and hold the sway bar down. Again, we recommend loctite on those bolt threads. These bolts need to be torqued to 122 ft lbs as a good start. These bolts need to be torqued to a high value, and the torque specs for an R53 is 122. This is a good starting point, as the torque specs for the R56 have not been published at the time of this writing. Step 26: Reassemble in reverse order. All large bolts for the sub frame should be torqued to 74 ft lbs to start. This again is the torque spec for the R53, as the torque specs for the R56 have not yet been published. A good practice is to paint mark each bolt after torquing for easy inspection later on. This will show you if the bolts have moved since assembly. We recommend doing this at all critical suspension points and things of that nature. 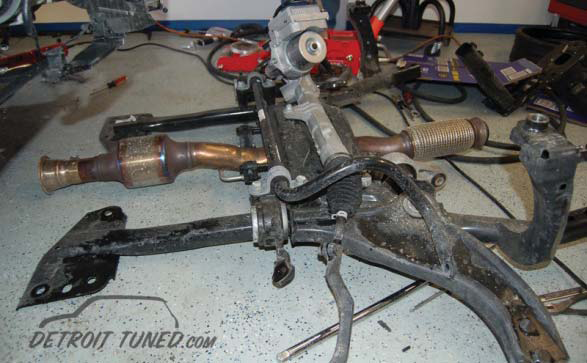 NOTE: When jacking up sub frame, the two vertical stanchions will line up on pins on the frame rails of the car. 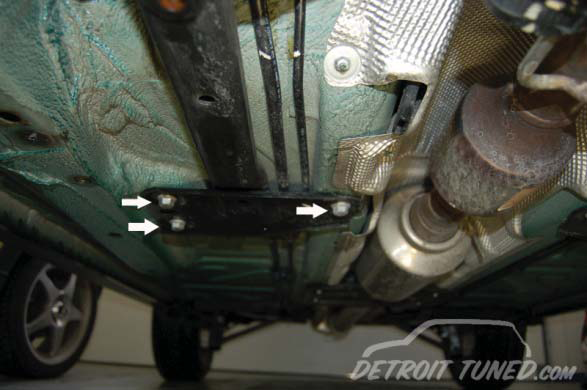 Tighten these bolts first before tightening the rest to help assure proper sub frame alignment and installation. This job normally takes 4-8 hours depending on your work speed (or longer,) age of car, and location in the country (in other words, if the car has seen snow and salt). The car MUST have an alignment after this install. Excess tire wear or other adverse handling characteristics may occur.